Editor’s note: This is the first in what we hope will become a regular feature of contributing writers for The Midnight Sun. If you’re interested in publishing your work through The Midnight Sun, contact editor Matt Buxton: matt@midnightsunak.com. The first few days of the 31st legislative session have been a roller coaster to put it mildly. But, let’s set aside the juicy rumors swirling around the House “Majority” and the Sharon Jackson fiasco to focus in on some substantive policy issues that are coming into focus. After five years of fiscal crisis talk, we once again find ourselves in a session dominated by the budget. And there’s good reason for it. In 2014, oil prices slid from a high of $115/barrel, bottoming out at $35/barrel two years later in February 2016. The drop in oil prices blew a massive hole in the state budget. Since 2014 the state has been dealing with multi-billion dollar deficits, living off its savings, and wrangling over how to use the Alaska Permanent Fund earnings to fund a portion of government. For some context, the Undesignated General Fund (UGF) operating and capital budget spend in FY18 was about $4.5 billion (not including $1,100 PFDs, which cost about $760 million). The FY19 operating and capital budget was about $4.7 billion UGF (not including a $1 billion transfer for $1,600 dividends). A fiscal year in Alaska goes from July 1 to June 30. So, FY18 was July 1, 2017 to June 30, 2018. The legislature budgets for the following fiscal year meaning, the 2019 legislative session is currently working on the FY20 budget. The 2018 session worked on the FY19 budget and so on. Cutting departments and all but eliminating the capital budget brought the cost of government down from the heyday of high oil prices in FY13 when UGF spending on operating and capital budgets reached a staggering $7.7 billion. The FY20 budget put forward by former Gov. Bill Walker before leaving office (the baseline) pegged operating and capital expenditures at around $4.8 billion. Some decry overspending during high priced years between 2012 and 2014. But, “overspending” was largely happening in the capital budget coming in the form of goodies for legislators in their home districts, be they fancy tennis courts or new whiteboards for local schools. The capital budget authorized about $1.3 billion in UGF funds in FY13, and $1.9 billion in FY14. In FY16 the capital budget was axed to around $150 million and it hasn’t made a comeback since. Agencies spending also took a hit to the tune of about $400 million from FY15 to FY19. In the 2018 session even the vaunted Republican Senate Majority, a regular purveyor of small government conservatism, was unable to forward any substantial cuts beyond a few million dollars, to the relief of the state (and the Pioneer Home). Suffice to say, in the range of $4.4 to $4.9 billion ish is probably what it costs to pay for the level of service Alaskans have become accustomed to; a level of service that could hardly be called lavish. This is the obvious conclusion after years of debate, shifting power and dwindling savings. A conclusion Dunleavy himself even acknowledged here. Incidentally, the FY10 budget authorized around $5.1 billion for operating and capital budgets, not including PFDs so we are historically in line with what it has cost to run government. 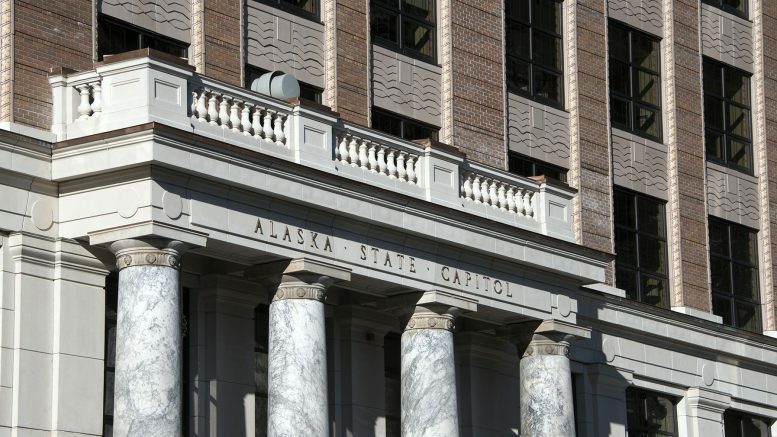 When the legislature gaveled out in May of 2018, it looked like there would only be about a $700 million deficit in the FY19 budget (July 1, 2018 – June 30, 2019) as a result of the restructuring of the Alaska Permanent Fund earnings account to fund a portion of government. That deficit shrunk to about $260 million due to buoyed oil prices through October and November. This was a huge improvement from the multi-billion dollar deficits lawmakers had become accustomed to. The final FY19 deficit number won’t be known until the fiscal year concludes June 30, 2019. The forecasted deficit for FY20 is around $1.6 billion with a $4.8 billion budget plus $3,000 PFDs. Put simply, an FY20 budget with a $1,600 PFD under current prices in the mid $60’s would have yielded about a $700 million deficit, more in line with what people were expecting. The FY20 deficit is made worse, to the tune of about $900 million, by increasing the PFD from $1,600 to $3,000 per person. Dunleavy’s proposal to cut $1.6 billion from state government looks a bit different in that context. All are eagerly awaiting the Governor’s new budget, said to be out by Feb. 15th, which should detail where he suggests $1.6 billion should come from and, in turn, give us a mostly balanced budget. Most in the building seem to be guffawing at the idea of such a cut because of the complete and total interruption of service it would cause Alaskans. Senate Finance heard from newly-appointed commissioners Bruce Tangeman and Corri Feige, from Departments of Revenue and Natural Resources respectively, to discuss the state’s only real source of revenue: oil. What’s becoming clear is that much of the celebration over the past two years’ flat production and new finds was a bit premature. The revenue picture of the state isn’t getting better, it’s getting marginally worse. And oil production isn’t on the way up despite ebullient announcements of billion barrel fields. The current revenue forecast shows unrestricted petroleum revenue of about $1.688 billion for FY20. The revenue number never goes above $2 billion until 2028 when the state expects to bring in $2.024 billion in from oil. Clearly, $1.688 billion doesn’t cover the $4.8 needed to run government, hence the deficit and the need to draw from the Earnings Reserve. The revenue picture isn’t getting better for a few reasons. Prices are projected to stay within the mid-$70 range for the next ten years meaning little new revenue there. Willow, a billion barrel field according to Conoco, is on both federal and Alaska Native land. Shared royalties will flow to North Slope communities, not the state, in the form of grants as mandated by federal law. The gross value reduction on new oil (GVR) will eat into production taxes and expenditures to build the facilities will need to be written off. Property taxes will go to the borough. That leaves corporate income tax and some production taxes for the state on one of the largest fields found in Alaska in years in the near term. Pikka is more interesting because its cost and reservoir profile are so much like Willow, but on state land. The Pikka field is near in size to Willow and will also likely need brand new facilities. While the GVR will eat into the production tax revenue stream, and new facility expenditures will be written off, the state will be entitled to corporate income tax, 100 percent of the royalties on production because it will come from state land, and production tax from the field. As production moves east and west, and more onto federal and private land, the revenue benefits to the state of Alaska accrue disproportionately. Increased production from federal lands can actually be a negative for the revenue picture for the state. The production forecast also made another important point: that future production in the next ten years likely won’t be enough to replace declining production. In fact, it would appear we’re back on a steady decline curve after FY20 with production expected to fall from 533,197 barrels a day to 498,000 barrels a day by 2028. Combine a mediocre production forecast, middling prices and a supersized PFD, and you’re going to get a picture of the Alaska budget hobbling through the next ten years. There isn’t a massive oil project or price boom coming to save us. The gasline’s project design means the state can’t rely on significant cash flow from the it until many years into the future. Federal production is actually draining some money from the state and that appears to be where new finds are headed. And we aren’t pulling in enough revenue to cover government expenses even after years of cutting. Legislators will be considering these issues as they face down a sixth year of deficits, having burned through more than $14 billion in savings already. Say Dunleavy’s cuts are dismissed immediately, and the budget stays around a $4.8 billion UGF number. With a $3,000 PFD left intact, $1.6 billion needs to come from somewhere. The Earnings Reserve is already supporting more than it should (see: the Alaska Permanent Fund lost $3.5 billion in 2018) and the CBR has about $2 billion left in it to address state emergencies. Where does the $1.6 billion come from? Will legislators cut $1.6 billion out of an already shriveled budget? Will legislators reduce dividends once again? Will a capital budget ever make a comeback? Will legislators go to the people or the oil companies for more revenue? Realistically, what other option do they have at this point? Be the first to comment on "PRESLEY: Despite Legislature’s early shenanigans, don’t forget Alaska’s bigger picture"